This is a homework assignment used as preparation for a group research project. 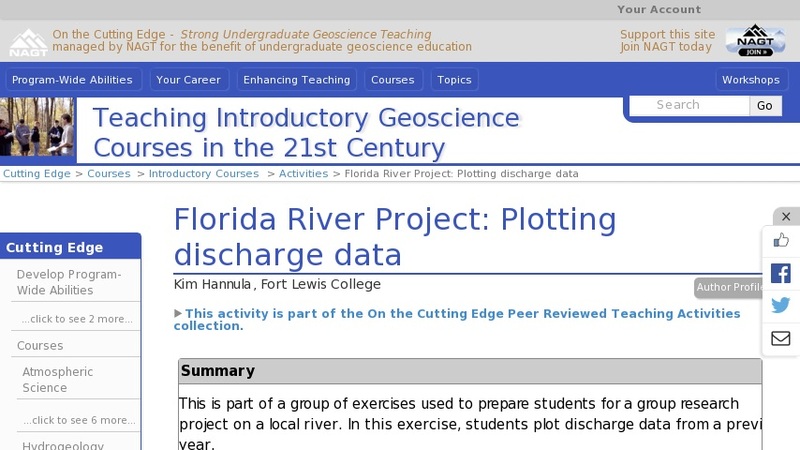 Students graph annual discharge data from a local river by hand, and compare the discharge patterns from the stream above a reservoir with those below the dam. This exercise gives students practice graphing a small amount of data by hand, and gets them thinking about ways graphs can be used to help interpret data.